Cancellations are only accepted by e-mail only and must be received by us at least 2 full days before the arrival. ​If you do not show up for your reservation we may charge the first 2 nights of the accommodation to your credit card. City tax is not included. Please note that city tax in Prague is 15 CZK/person/night. 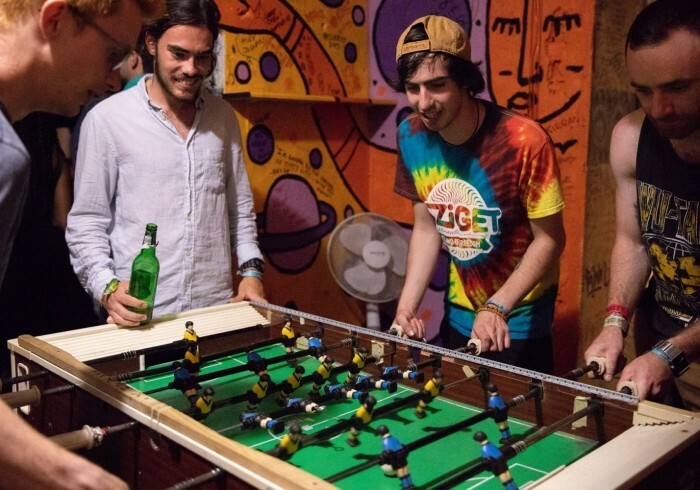 Hostel One Prague isn't just a place to stay, it's an experience. We've designed our hostel for backpackers, with a bunch of friendly international staff who will do their absolute best to assist you in any way possible. They like to refer to themselves as 'professional party people', but they won't just party with you until ridiculous hours in the morning. Our staff are highly knowledgable about the city. They'll cook dinners, point you in all the right directions, show you around during our daily activities and even help you book bus tickets to your next destination. Nothing is too much for us to handle. If you want to make a reservation for more than 6 people, please contact us by email a different policy applies. We have special group prices!